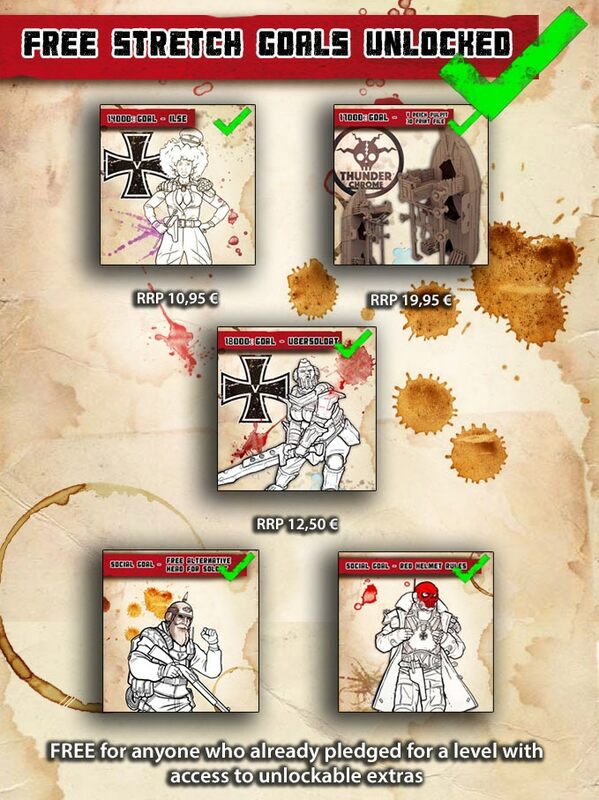 We have entered the last 48 hours of campaign with a new FREE unlocked miniature and the extra arms for Medic and Soldat right at grasp's reach at 19K. And we have also lowered all the stretch-goals for the last three miniatures in 1000 euros each, so they are closer than ever! 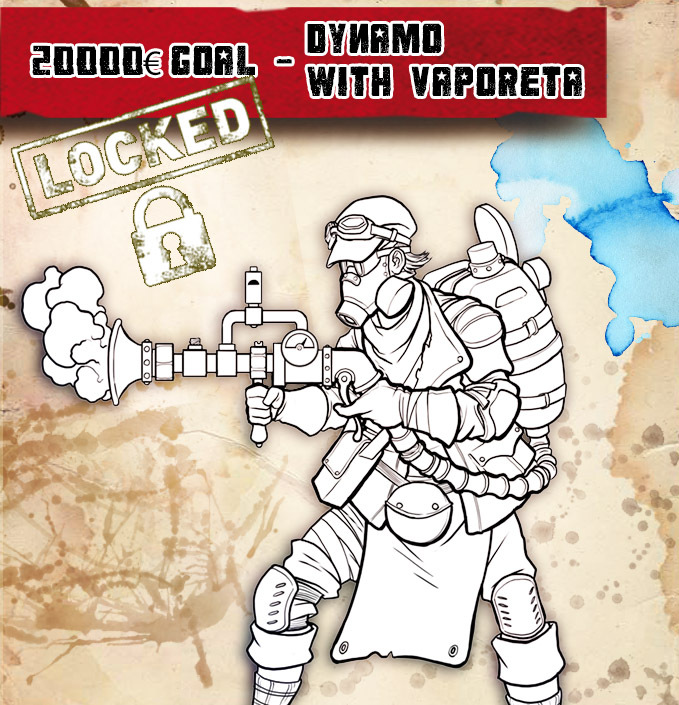 At 20K you can unlock the only weapon missing in our catalog, the fearsome Junker's Vaporeta! Less than 2 days remaining, PLEDGE NOW!.